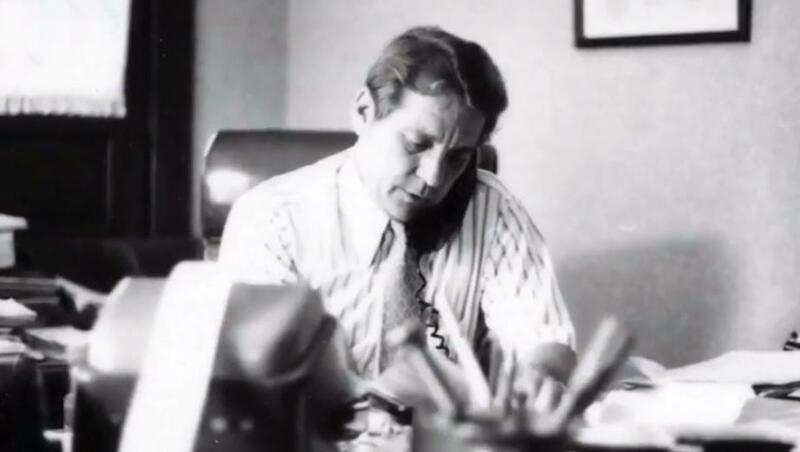 Former Congressman Ralph Regula represented Northeast Ohio from 1973 until his retirement in 2009. He helped convince then-President Gerald Ford to sign the bill that created the Cuyahoga Valley National Park by telling him he would otherwise lose Ohio in the 1976 election -- which is what ended up happening anyway. About 200 people gathered for a memorial in Alliance over the weekend for former Congressman Ralph Regula, who died last month at age 92. The ceremony took place at Riggs Memorial Plaza at the University of Mount Union on Saturday as 18-term Congressman Ralph Regula was remembered for everything from helping to establish the Cuyahoga Valley National Park to driving with a lead foot. Debbie Neale knew Regula when she worked as a lobbyist for B.F. Goodrich starting in the 1970s and 1980s. She, and many others, said they wished more lawmakers would reach across party lines today, as Regula – a Republican – did during his 36 years in Congress. Regula – a 1948 Mt. Union graduate – was also remembered for his service to constituents in and around Stark County until his retirement in 2009. Regula’s son, David, says his father loved the environment and also loved driving Ford Thunderbird convertibles. A one-hour documentary that aired on Western Reserve Public Television is available here. One of the longest-serving Ohioans in Congress is being remembered as a proud Republican, yet nonpartisan public servant. Ralph Regula, who represented Northeast Ohio for 36 years, died Wednesday in his home. He was 92. People remembering Ralph Regula quickly get to two points. Ralph Regula -- a farmer, teacher, lawyer and one of Ohio’s longest-serving congressman – has died at age 92. WKSU’s M.L. Schultze has more on the man known for his geniality and constituent service. Regula’s trademark during his 36 years in Congress was helping his constituents navigate the federal bureaucracy. It’s something he remained proud of right through his retirement in 2008. Ralph Regula, who represented Northeast Ohio for 36 years in Congress, has died at age 92. The Republican represented a district that centered on his native Stark County. He and then Summit County Democratic Congressman John Seiberling were key in creation of the Cuyahoga Valley National Park in the mid-70s and he spoke often of the value of bipartisan efforts. He told the Akron Press Club in 2008 – as he prepared to retire -- that his primary concern always was Ohio’s better interests.